Though it isn’t always at the top of every business’s priority list, building your website is an important step to take your business to the next level. Your website is the face of your business online and it should make a good impression to your clientele. A great article by WebConfs.com explains why you may be in desperate need of a Web Developer like us! Tackling a website is a hefty task for an unseasoned business owner. The internet users have no time or patience for poorly designed, poorly functioning websites. 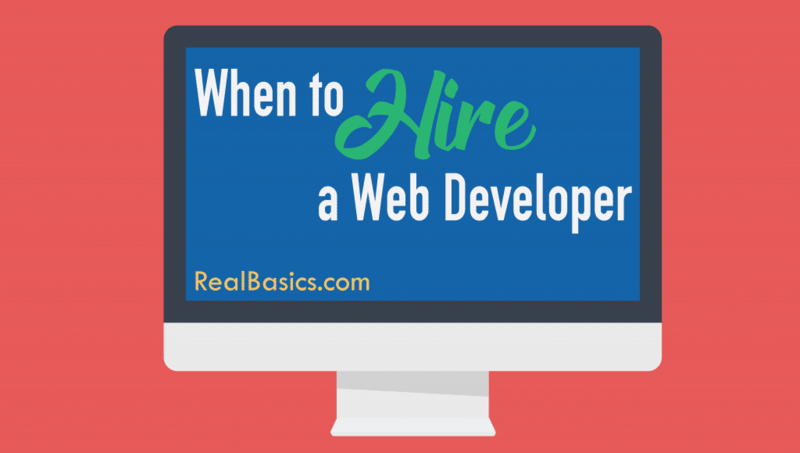 To help with this task, here are 5 signs it’s time to hire a Web Developer. The look and feel of your website are very important so that you can get together an attractive design to engage your visitors better. Attractive Designs helps get repeat visitors and build loyalty to your brand! Search engine optimization is very important for websites to rank on Google. SEO leads to organic traffic and business. In order to rank well in Google, your website needs to be optimized as per SEO guidelines that a Web Developer will be happy to follow for you! Users prefer websites that are fast and efficient. No one has the time to sit around waiting for your website to load slowly. Even in terms of a good SEO ranking, Google prefers a website that has a high load speed. One of the biggest demands that your website will have is that the site should be responsive by all means. Your website should work properly on all devices, whether desktop, laptop, mobile or tablet. If your website ails from these above issues then it is a collective sign that you need to hire the services of a web development company like RealBasics.com that can help improve your website! Give us a call to learn more! I've been building and maintaining websites since 1997 and building and supporting similar hypertext-driven software since 1987. I've done maintenance, support, and maintenance for physical and digital systems since 1981.